I got bit by a dog, what do I do now? If you got attacked by a dog leaving you with a devastating injury, please contact My AZ Personal Injury Lawyers. Physical and emotional scars can be caused for many years after in both children and adults, as well as severely harmed. Most of the time, many victims never expect to be injured by a dog that they see as a friend or loved one. Many times, dog bites are lead from careless owners who don’t train their dogs responsibly to protect loved one and/or strangers. If you or someone you know has been harmed/attacked from a dog attack, please call My AZ Personal Injury Lawyers in Gilbert. My AZ Personal Injury Lawyers in Gilbert has helped hundreds of victims in dog attack cases by holding at fault parties responsible for the attack. Contact us today in Gilbert and learn more how we can help you! By Arizona Law (ARS-11-1025) states that attacks and injuries caused by an owner’s pet holds the owner liable. you can also have the right to file a claim against the dog owner if you were attacked by their dog in a public place or while lawfully on someone else’s property. 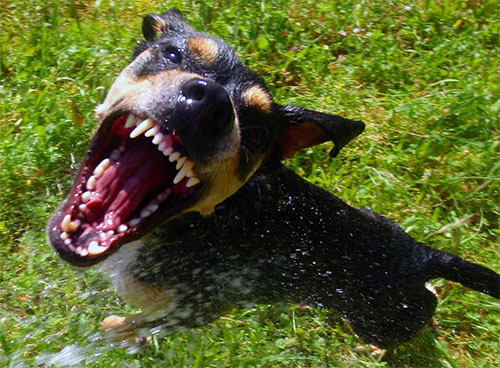 If the dog attacked you without it’s owner present, the dog owner is responsible for the occurrence. Also, you don’t need any proof of the owner knowing the dog was harmful before you were injured. Anyone who was attacked while trespassing illegally on someone else’s property, aren’t allowed to sue for any damages. The first thing you should do when recovering from your injuries is to undergo an in-depth medical evaluation. This will determine the full extent of your injuries and what steps to take to recover. If you suffered from life-threatening injuries, you most likely have already got emergency medical care, surgery, and some time in the hospital. You should always stay in contact with you doctor to see your progress and determine if any complications can cause any harm to your health. From hospital bills and being unable to work can sometimes lead you into debt. You can always receive compensation by filing a claim against the dog owner. The compensation will pay for your medical bills, lost wages, suffering, and any other tolls the injury can have in the future. Most often dogs are seen as a man’s “best friend,” but can also be extremely dangers to others by attacking. Small dog seem small and harmless but can also cause serious damage to someone because of their sharp teeth and claws. Suffered injuries can be very tragic in an instance of a big and aggressive dog attack. A recovery can be difficult due to suffering from emotional and mental trauma because of a violent dog attack. My AZ Personal injury Lawyers represents people in Gilbert who have been injured in dog bite accidents. Our attorneys have secured compensation and represents clients who have been injured in dog bite incidents. Our law office provides to you six convenient locations in Mesa, Glendale, Tucson, Avondale, Phoenix, and Scottsdale. Our legal defense is affordable with financing options available, as well as free consultations and case evaluations. Our personal injury lawyers are dedicated to winning by defending, litigating, and negotiating. We are the top-rated attorneys experienced in personal injury law as we know the Gilbert courts, clerks, judges, and court system. Contact us to speak with a professional personal injury lawyer today.